Back on January 9th, we told you about a job listing that hinted at Microsoft looking to bring Xbox LIVE gaming to iOS and other platforms. The interesting listing called for a developer to help the company port its LIVE gaming client to Apple’s and Android’s specific platform. Everything got stirred up back in December of last year when Microsoft introduced the official Xbox LIVE application for the iPhone. But according to a recent Forbes report, that was only the beginning of what Microsoft planned on doing with Xbox LIVE and mobile platforms. While the Xbox Live experiences and games always work best on the Windows platform, we understand that some Xbox fans may be using other types of devices. To satisfy that need, we are working to extend a few of our Xbox experiences and titles to other platforms. Since iOS and Android are the two largest mobile platforms, it would only make sense that Microsoft will start with them first. 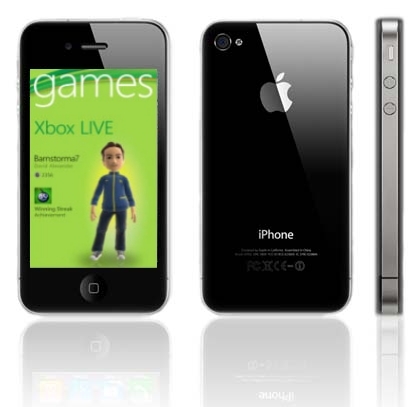 Microsoft recently launched a game called Kinectimals on iOS, and it has attracted a significant amount of users. If this is true, there will be hundreds, maybe thousands, of Xbox LIVE games available for you iDevice. This move should significantly boost Microsoft’s presence in mobile gaming, and generate increasing amounts of revenue from Xbox games going forward.